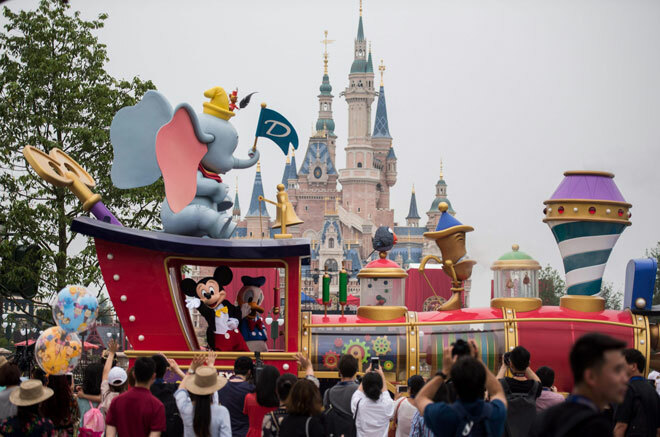 Entertainment giant Disney opened a massive theme park in Shanghai on Thursday, hoping to win over communist-ruled China's growing middle class with the ultimate American cultural export. Thousands waited in long lines in the rain-drenched park, hoping to be among the first to ride attractions such as a futuristic rollercoaster based on the "Tron" science fiction films. The opening comes after tragedy struck Disney's resort in the US state of Florida, where an alligator killed a two-year-old child at the shore of a lake in the massive complex. Walt Disney World said it had shut down all of its Florida resort beaches and marinas as a precaution after the incident. The Shanghai resort is the US company's sixth in the world and the first in mainland China -- there is already one in Hong Kong. 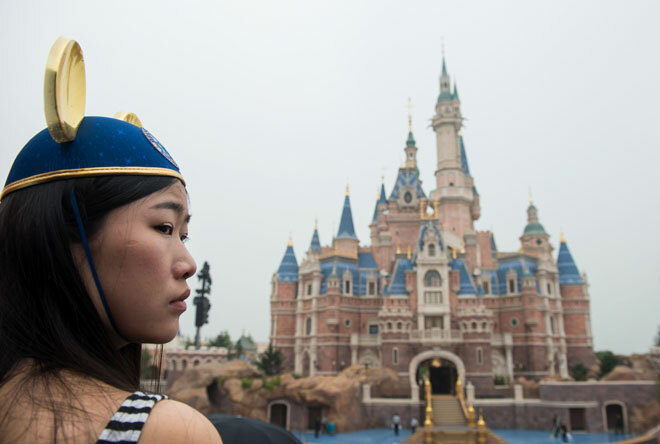 Workers broke ground on the project in 2011 and the Shanghai Disney Resort now sprawls over 3.9 square kilometres (1.5 square miles) on the city's outskirts, with a fairy-tale castle soaring over the horizon. But the launch of the $5.5-billion resort, representing one of the biggest ever foreign investments in China, comes as growth in the world's second largest economy slumps to its lowest level in a quarter century. Still, the world's most populous country is simply too big to ignore, Disney chairman and chief executive Bob Iger said. "We wanted to make a strong statement. After all, this is the largest market in the world," he told journalists before the park opened. Iger himself viewed the present site for the project, which is a cooperative venture with state-backed Shanghai Shendi Group, in 1999. Speaking at an opening ceremony, he said: "This is one of the most exciting moments in the history of the Walt Disney Company." 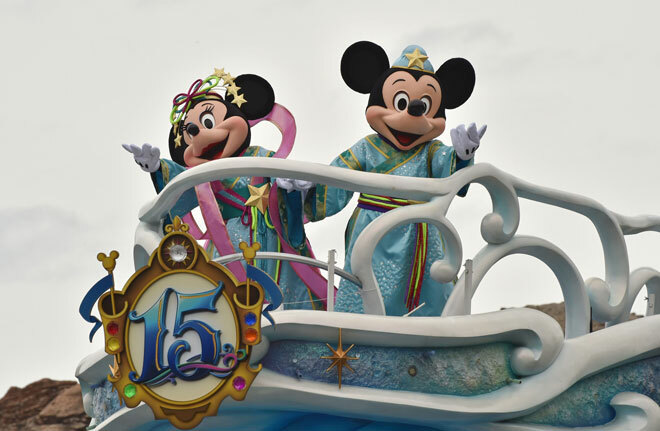 Despite the economic slowdown, some changes over the past five years are in Disney's favour: the government's shift towards encouraging domestic consumption as the new driver of growth and relaxation of the strict "one child" family planning policy. The highest-ranking Chinese official to attend the opening, Vice Premier Wang Yang, said the rain was a "symbol of fortune". He forecast a "golden era" for tourism in China, which would help boost the economy. "I would like to call this rain a rain of US dollars or Renminbi." Disney calculates there are 330 million people living within a three-hour journey of Shanghai who are potential customers. But on its first day, visitors came from all over China. "We have always wanted to go to a Disney park, but (mainland) China did not have one," said restaurant owner Guan Song, who brought his six-year-old daughter and wife from the eastern province of Shandong. Long lines at some attractions -- more than two hours for the film "Soaring Over the Horizon" -- dampened the celebratory mood for some. "It's not worth waiting for two hours," said one man from the central province of Henan, who had his two sons in tow. "I want to look for something faster." Disney has set the entrance fee at 499 yuan ($76) during peak periods and 370 yuan ($56) for other times, in a country where the average monthly disposable income is just $278. 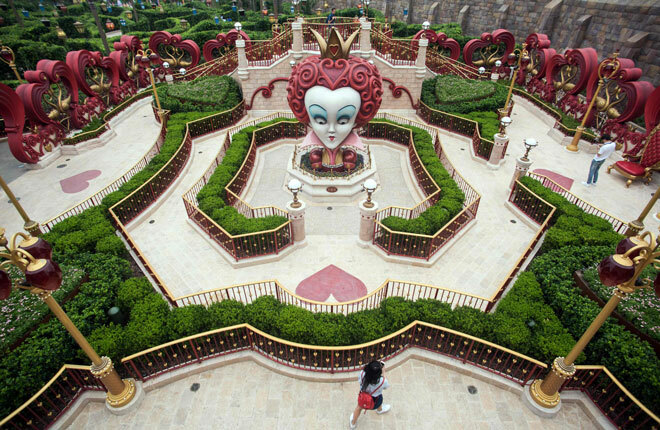 And there is competition for tourist cash as China builds more theme parks than any other country in the world. Disney has also had to fend off accusations of cultural imperialism. Days before Shanghai Disney opened, Chinese tycoon Wang Jianlin, who is developing his own entertainment properties, accused the US company of a cultural invasion. 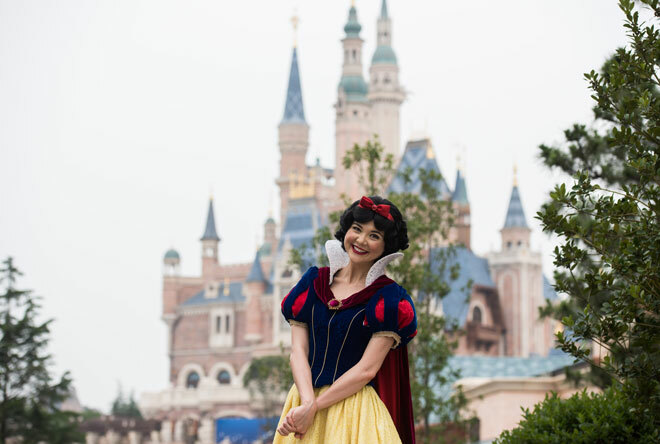 But Disney denies the allegation, saying its philosophy is to integrate local elements throughout, from the Chinse food on the menu to the attractions -- even the Disney castle is topped with a traditional peony flower. 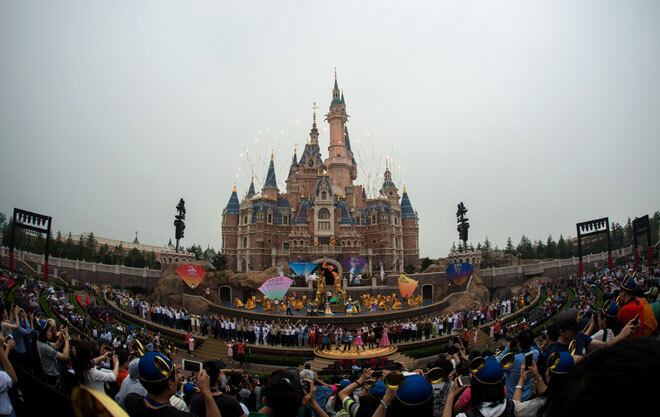 "We didn't just build Disneyland in China, we built China's Disneyland," Iger said.